Take the first step in making a change today! As a community based non-profit, we look for employees who not only represent themselves well, but also represent Golden View and the community in a fashion we can be proud of. 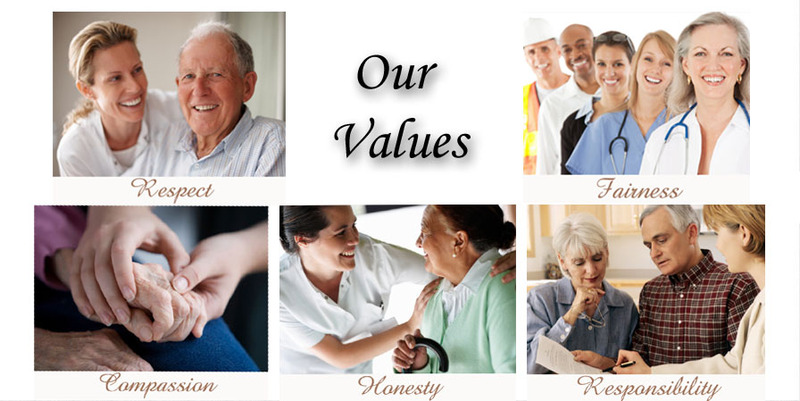 Golden View looks to attract employees that lead their lives in accordance to our core values of Responsibility, Respect, Compassion, Honesty and Fairness. 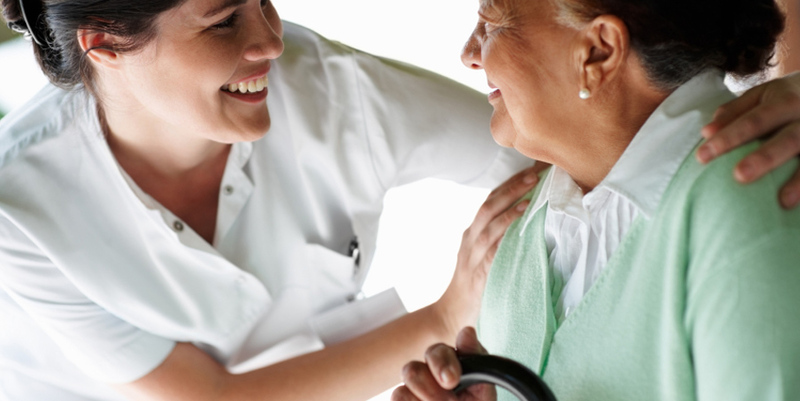 In return, Golden View is able to offer the stability, security and professionalism that comes with a well established, community based health care center, the flexibility and understanding of an independent non-profit and the commitment to a shared goal of quality care and compassion for our residents. 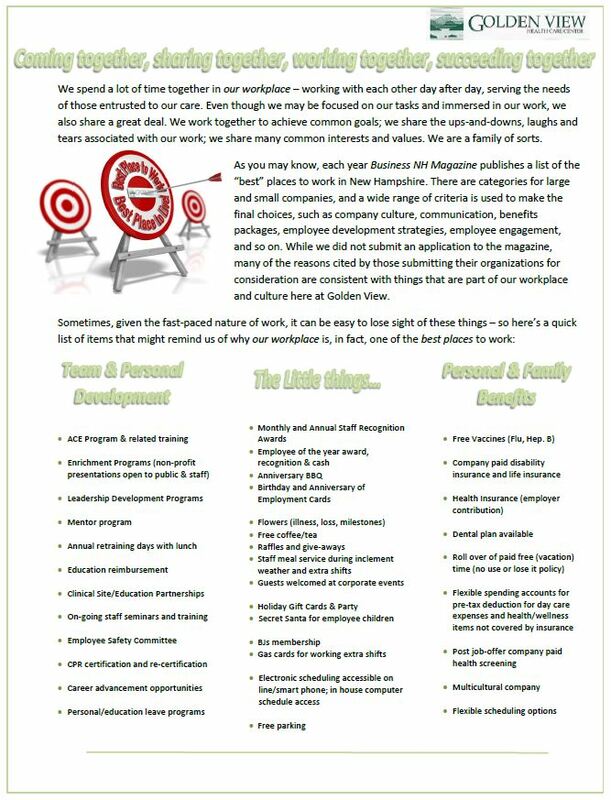 Submissions can be made via email to employmentopportunities@goldenview.org or dropped off in person. Note: submissions with faxed signatures are not considered valid by law. Interviews will be accepted upon arrival with completed employment application. Want more information? Tell us what position you are interested in! Seeking experienced Resident Service Providers/LNAs with strong customer service skills and the ability to demonstrate our core values. Candidates must demonstrate excellent interpersonal skills and be able to work in a fast paced environment. Full and part-time openings in our traditional long-term care community, The Pines, and our state-of-the-art rehabilitation community, The Retreat. Candidates must demonstrate excellent interpersonal skills and be able to work in a fast paced environment. Benefits: Comprehensive benefits package available for full-time employees. Flexible schedules.